I feel so inspired to share and extend to others this message that their perceptions aren’t really true. There is a way to go within and learn how to see truly by removing the blocks to truth’s awareness. I had the blessing of interviewing Jenny Donner, who is part of our Living Miracles ministry. Jenny collaborated with me on my new book “This Moment Is Your Miracle” together with her husband Greg Donner. 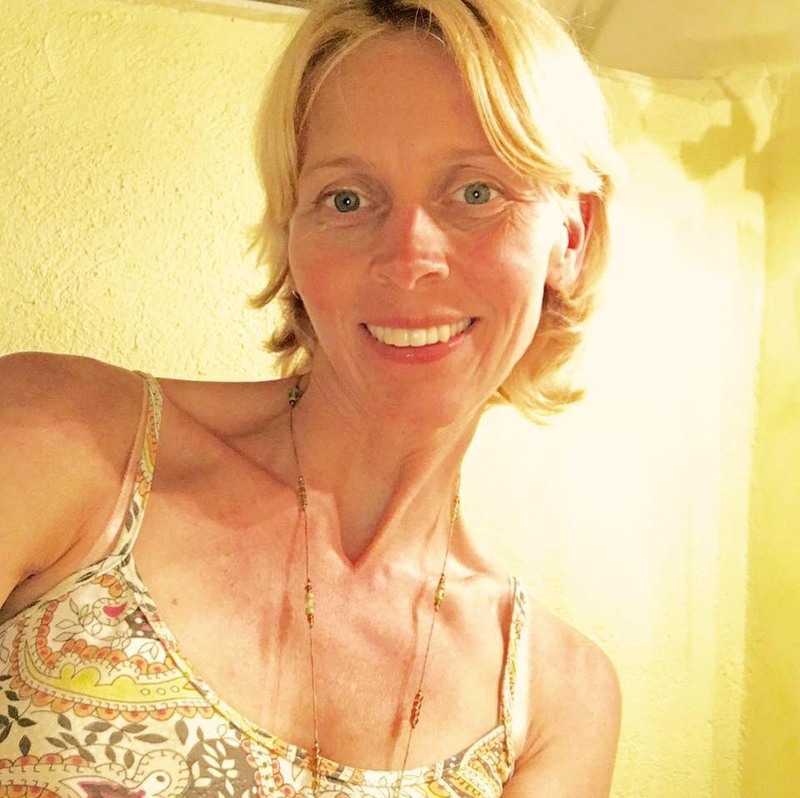 Jenny is a very trusting and intuitive spiritual teacher and healer who loves to connect with the ones she meets and share her presence and the message of Awakening around the world. I was a single mum and loving my son deeply, living in Sweden, when I received an invitation to participate in a one year transcendental meditation program at the Maharishi University in Fairfield, Iowa. I had been on the spiritual path for about ten years when this invitation landed in my inbox, exploring with deep interest and fascination books and teachings about reincarnation, psychic abilities, and Christian Mysticism. I had discovered A Course in Miracles in 2005. My son was about 10 at the time and I saw no way for me to pursue the call to travel to America from Sweden and partake in the TM program, not even for a few months. This was a difficult moment to live as the call of the Spirit within was very, very strong. I sat on my bed one day, having given up on the idea of going and in that moment something truly extraordinary happened. I was visited by two giant angel beings. They appeared right there in my bedroom, preceded by a feeling of a presence exuding and emanating a love and truth beyond human comprehension and understanding. The encounter is in many ways indescribable, something completely beyond our perceptual earthly realm. The angels represented the transcendent Selves of my earthly mum and dad and came to me with a message. They first answered all my existential questions and then they told me that they “are grateful that I’m going to go on this journey”. This experience aligned with the feeling I had already had and showed me that everything that ACIM teaches is true. The experience of being visited by the angel beings showed me that true perception can be experienced here and now. What is true – true perception. This made it clear that my day-to-day perception of my parents and others isn’t super honest and correct, which further showed me that I have stuff to work on in my mind, some corrections to be made to my belief system (since perception is based on our beliefs and thoughts). It was immensely helpful. Then, as I was able to start recognizing and releasing unhelpful beliefs (meaning beliefs that don’t support awakening), my mind got much clearer. Relationships started to reflect this healed state of mind; becoming a source of joy and fulfilment. My earthly parents, who were still alive at the time noticed, started to acknowledge that I was on a deep spiritual path – my mother once said that she felt like I was walking in Jesus’ footsteps. I was happier than I had ever been as a child and was able to be with them as well as with people that were new, that I just met, gratefully. Forgiveness of grievances and issues in relationships is the way to do this, inwardly, it’s actually always about our own lesson, not someone else’s! A Course in Miracles provides the clarity and the way to do this, and This Moment Is Your Miracle can be of practical support. The work with This Moment Is Your Miracle, has been deeply inspiring, alongside the continual letting go of the ego mindset, which always sees everything from a “personal perspective” is an ongoing miracle for me. Yes, my life is like an ongoing miracle now! I have trained myself to keep handing over perception to the light of love or Source, so no grievance or discomfort stays with me for very long at all anymore. David Hoffmeister is my definite choice here. He helped me get in touch with my deepest fears, so that I could see them and start to transcend them. This was not an easy or simple thing and I found that it worked just because David has also done this and so Spirit moves through him very apparently. I gave him my full trust because I felt that it’s only to the extent that we can trust something beyond our own mindset that we can heal and live without our ego. David made this very easy because of all the love and clarity he extends continually. I experience a very mystical and transcendental path, thanks to my relationship to this pure, true master. Traveling and being open to go wherever I’m guided to go. The unknown and living without plans and in a near future being based in Europe, at a new center in Mallorca, Spain. To go deeper within and discover even more! There is a need for people to go within rather than seeking outside. There is a great need to find peace of mind and the spaciousness to release fear and what is felt as limitations and obligations from the outside, external world. People should know that they can give themselves permission to follow their heart and say no to what is not serving their highest good (and ask for awakening, forgiveness and healing of their minds instead of what doesn’t serve them). What is your favorite “Life Lesson / Life Journey Quote”? Can you share a story of how that had relevance to your own life? “Love is not far behind a thankful heart and a grateful mind” from A Course in Miracles. This resonates with me and is my definite experience! The experience of true love has come to me since I stopped seeking it outside, and the practice of gratitude for what is given me on my path to do this is an essential part. This is what leads me to becoming aware of the true love that is always present. My own prayer life. What I mean is the letting go of preconceived ideas about myself and the world. This inspires me because I’m removing what I think and am being shown what Spirit or my higher Self thinks. This never fails, it’s always incredibly miraculous! I’m a spiritual teacher and an intuitive healer and guide, I’m a mystic on a deeply mystical path, jennydonner.net is my website.